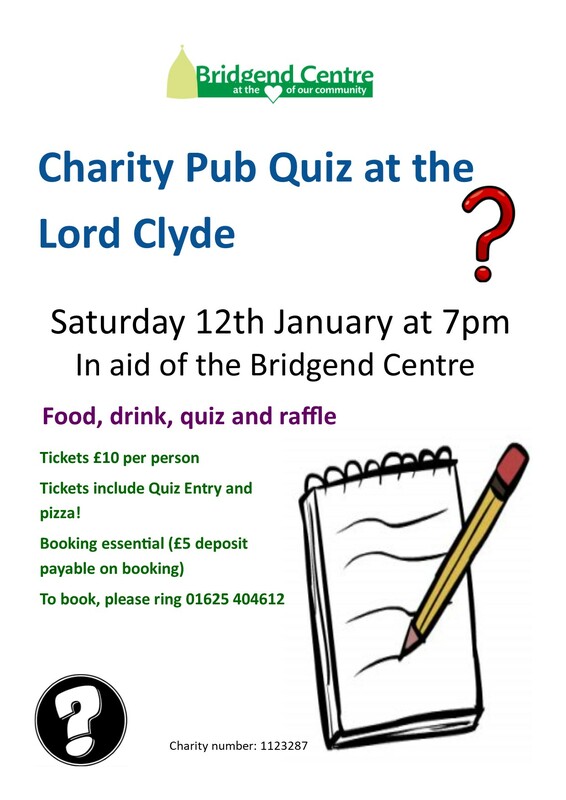 On Saturday 12th January, the Lord Clyde pub in Kerridge will be holding a pub quiz in aid of the Bridgend Centre. Tickets are £10, which includes entry into the pub quiz and pizza. There will also be an exciting raffle to raise funds for the Centre. To reserve your place, please contact the Lord Clyde on 01625 404612. They will need a £5 deposit. If you require any further information, please call Rebecca at the Centre. Every fortnight on a Wednesday we hold a car wash at Bollington Recreation Ground (the Rec) in partnership with the Rec and the Cheshire and Manchester Rehabilitation Company. It is £2.50 to get your car washed and it runs from 10:00am to 2:00pm.